Iranian President Hassan Rouhani and his Turkish counterpart, Recep Tayyip Erdogan, exchanged views on a range of issues, including the latest developments in war-hit Syria and the demise of the former Iranian president Ayatollah Akbar Hashemi Rafsanjani. In a telephone conversation on Thursday, the Turkish president offered his condolences to the Iranian nation over the demise of Ayatollah Rafsanjani and said the cleric was a great politician who made efforts to help establish peace and stability in the region and strengthen Tehran-Ankara relations. He further emphasized that his country is determined to promote cooperation with the Islamic Republic in various areas, adding that close ties between the two nations can play a major role in resolving regional problems. 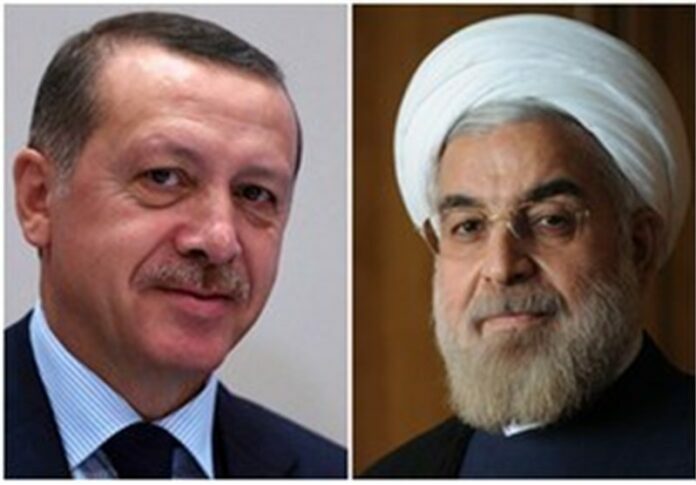 Rouhani, for his part, expressed his gratitude to the Turkish government for the condolences and said it proves that Iran and Turkey are two Muslim neighboring countries that share sorrow and joy with each other. Ayatollah Rafsanjani died at the age of 82 on Sunday. The top cleric was an influential figure in a campaign led by Imam Khomeini that resulted in the victory of the Islamic Revolution in 1979. The deceased became president for two terms and was the chairman of the Expediency Council for some 20 years. The Iranian and Turkish president also held talks on the latest efforts to resolve the prolonged Syrian crisis and the upcoming peace talks of the Arab country in Kazakhstan’s capital of Astana.